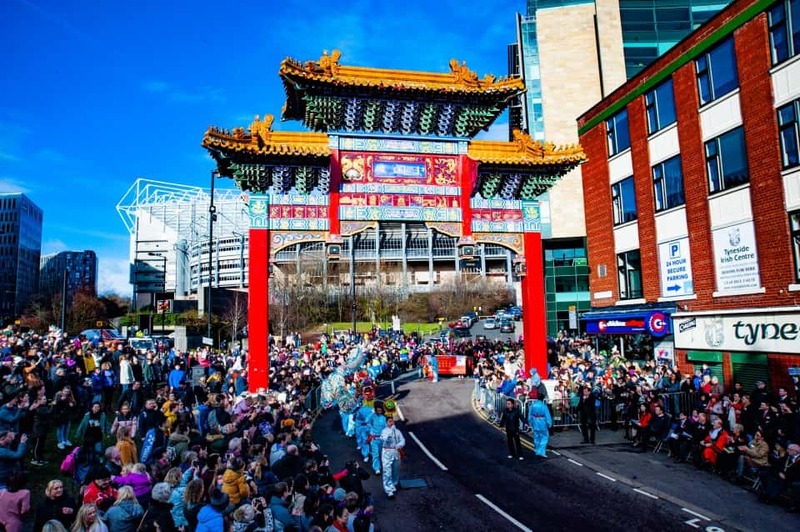 Thousands of people packed the streets of Newcastle to join the Chinese New Year parade. 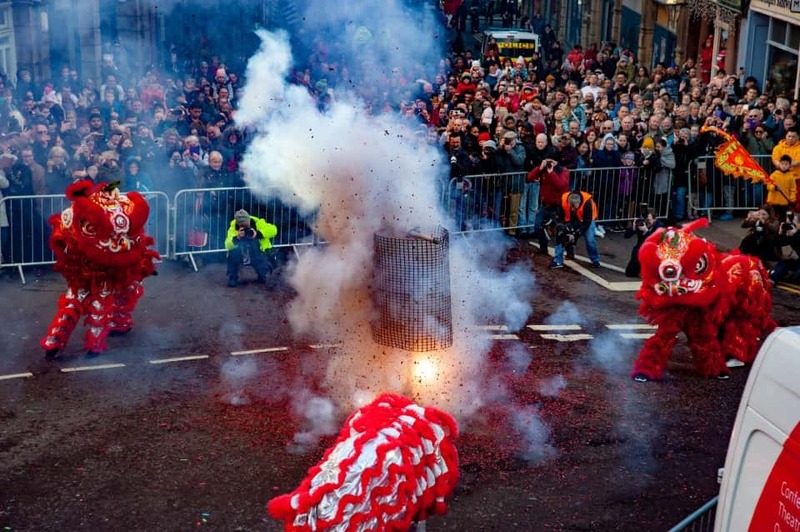 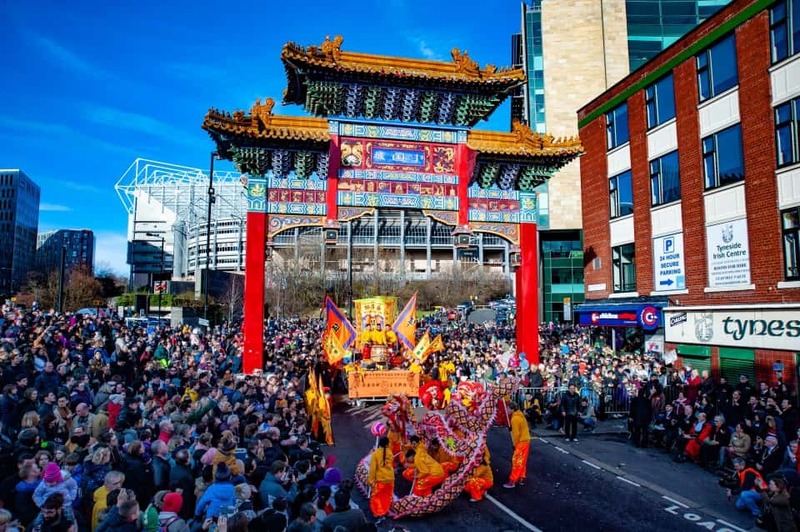 Around 20,000 people watched as Newcastle marked the start of the Year of the Pig with a colourful parade of traditional dances and performances. 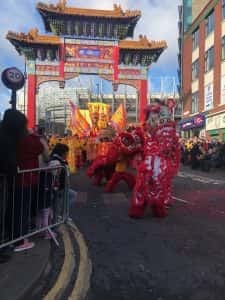 The festivity saw performers hosting their Chinese culture through music and dance as the parade snaked through the streets of Chinatown; lion dancers played up to crowds while paper dragons glided during the display and fire crackers were set off to welcome in the New Year. 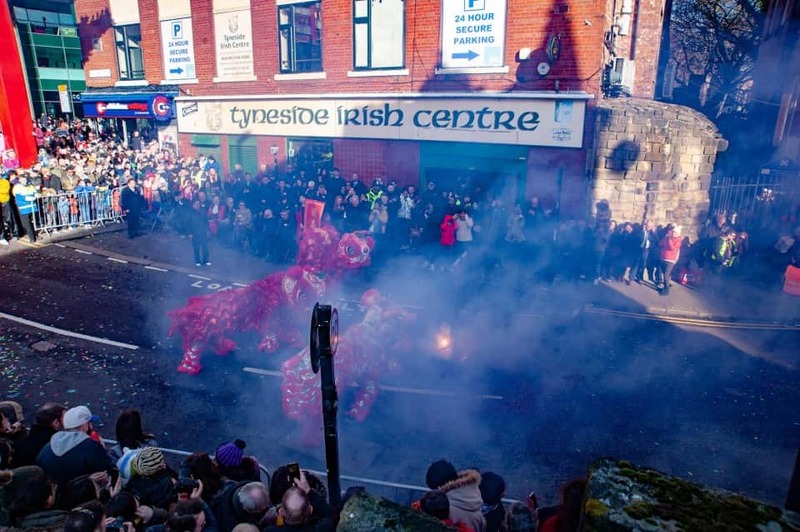 Edmund Ng’s Choi Lee Fut Kung Fu, Dragon and Lion club (started by Ng in 1976 after moving from China to Newcastle) blessed representatives of the Chinese community and Newcastle city council members. 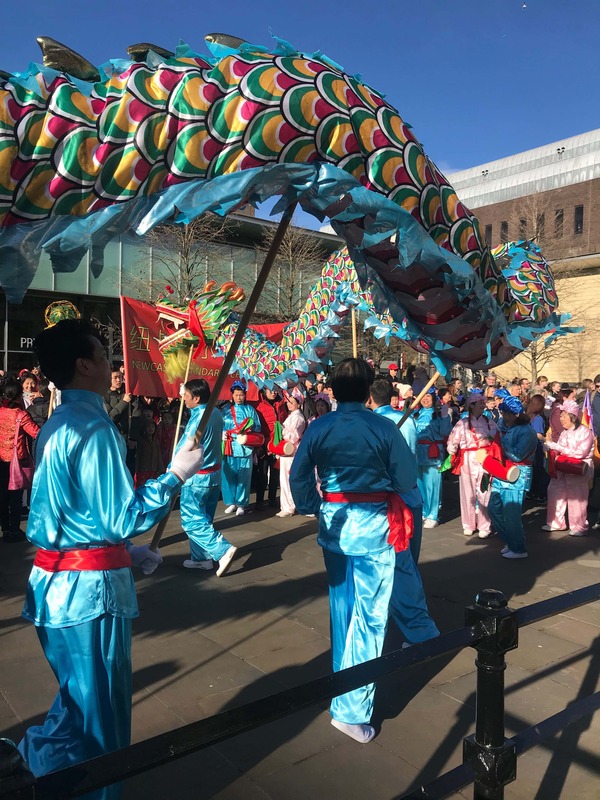 Starting at The Green, Old Eldon Square, several traditional dances were performed, in cluding the Dragon dance, Lion dance and Unicorn Qilin dance. 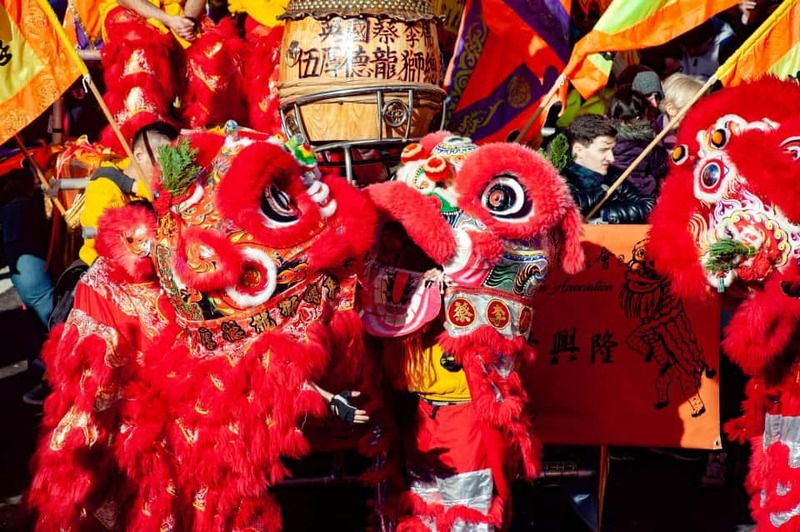 Lions blessed each restaurant and business in Chinatown along its journey during the parade. 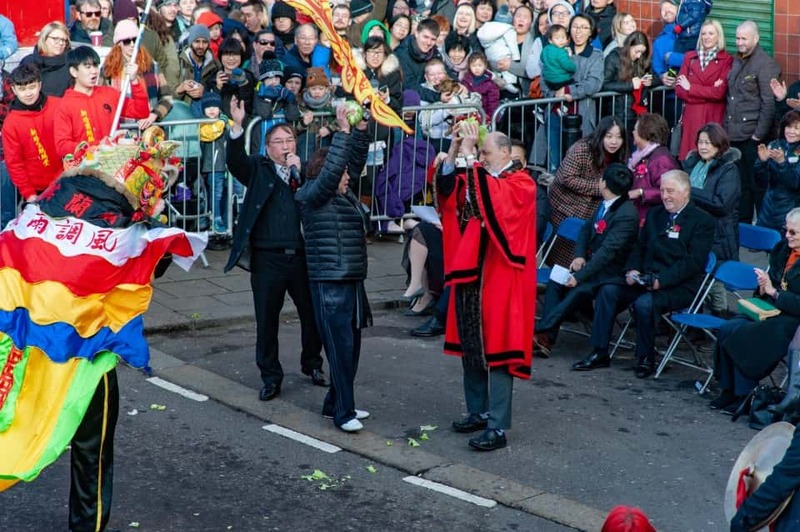 Sang Choi (lettuce in Chinese) was thrown to crowds as a blessing. 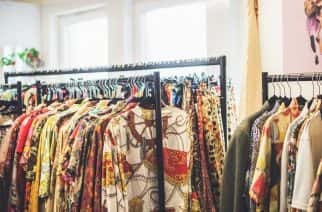 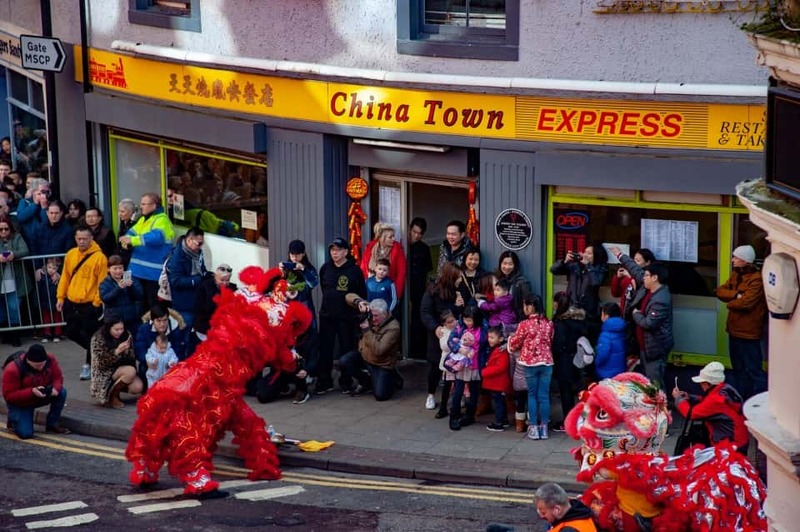 The North East Chinese Association hosted a range of activities, including Chinese arts and crafts, as well as providing traditional Chinese food and drinks. 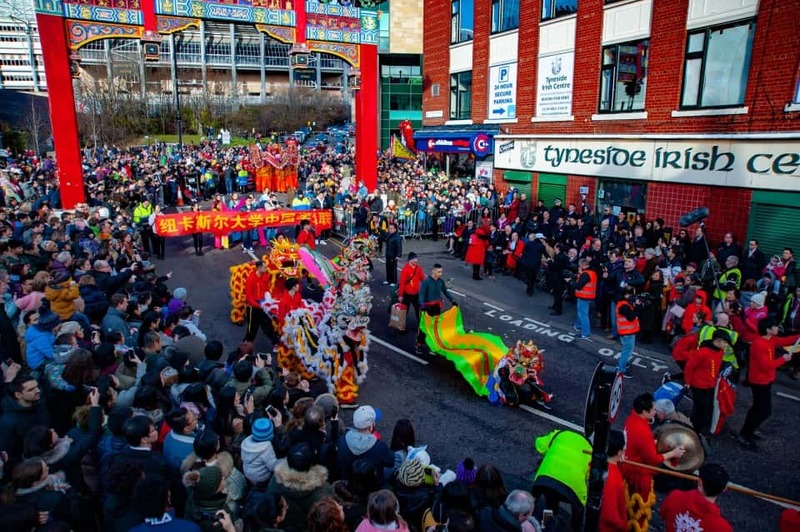 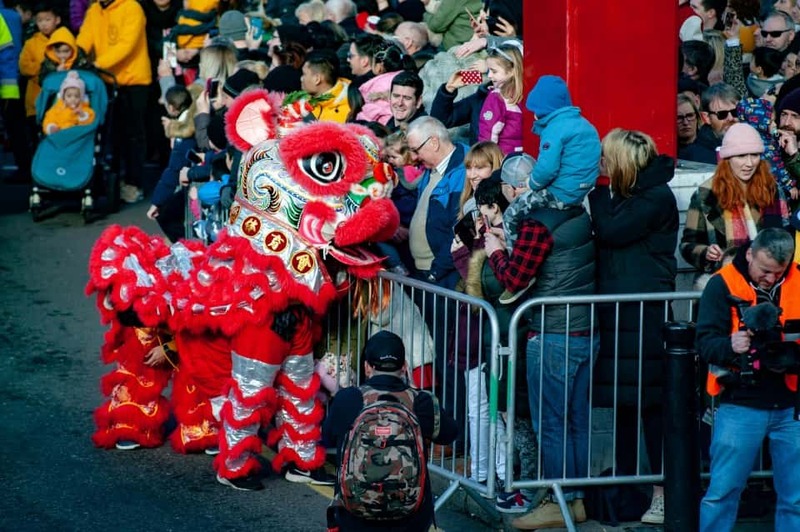 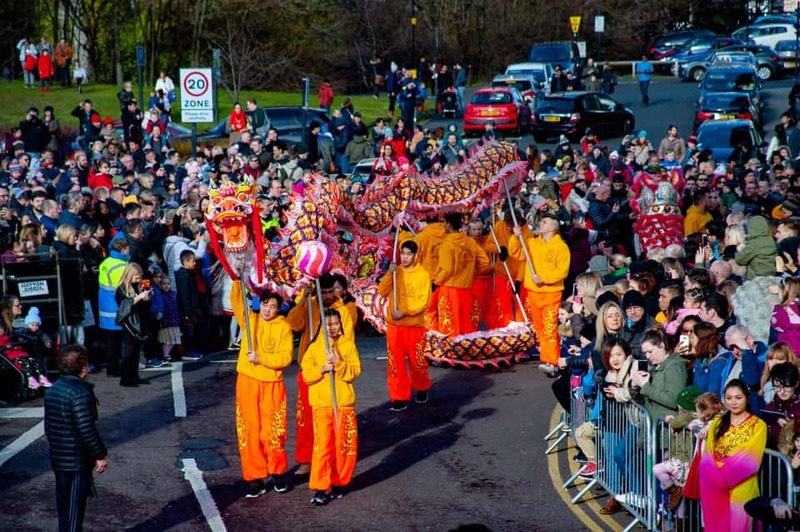 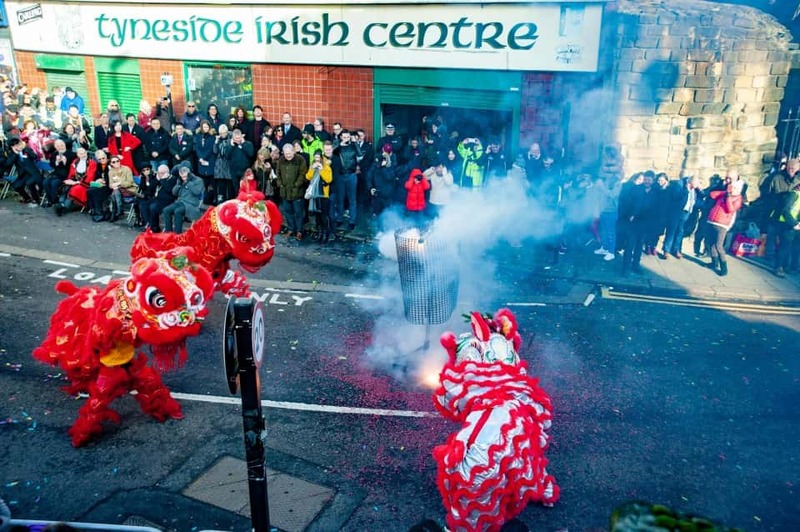 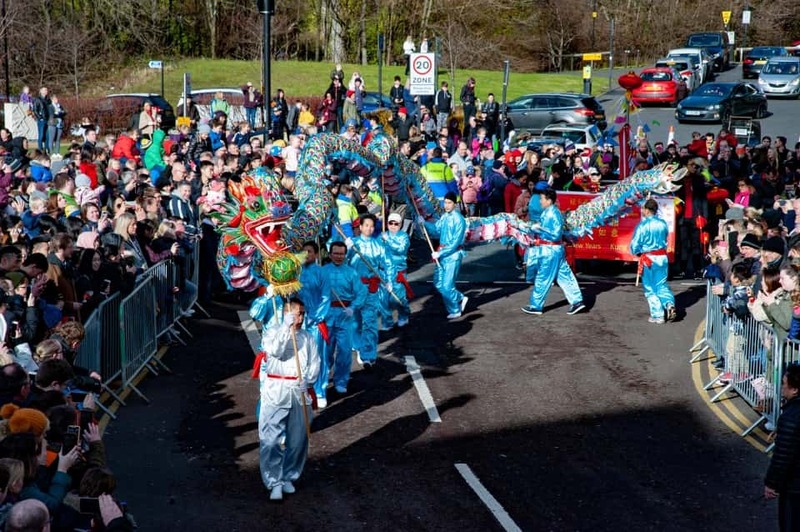 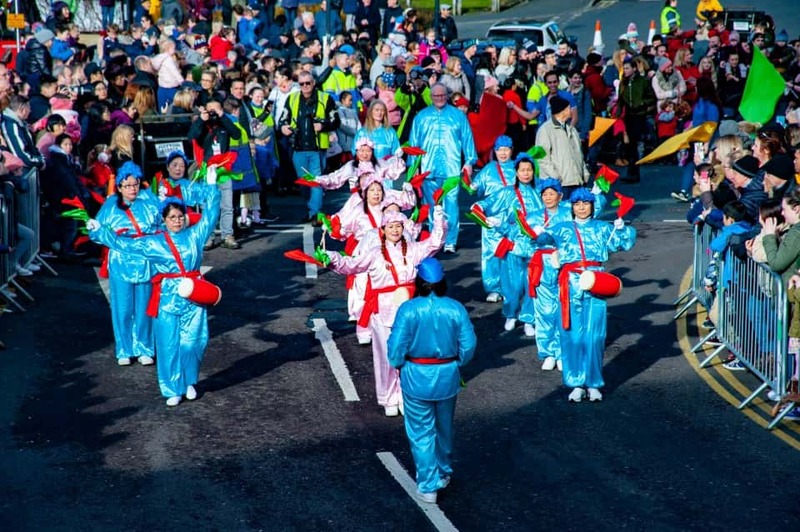 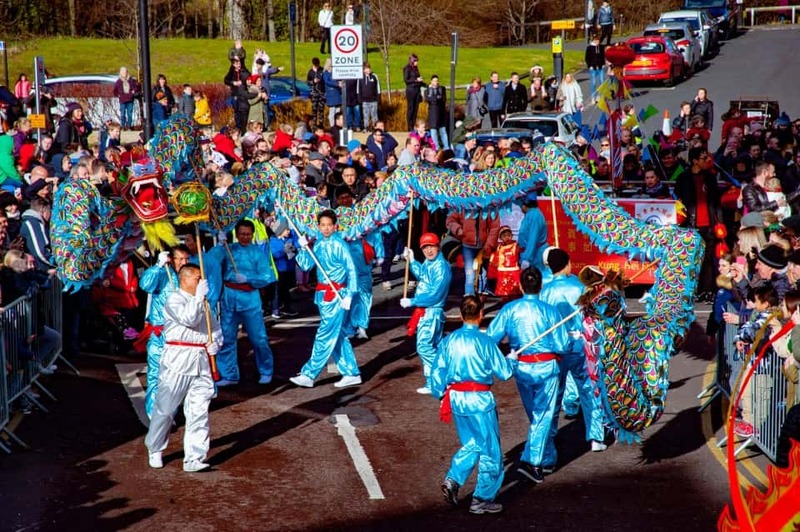 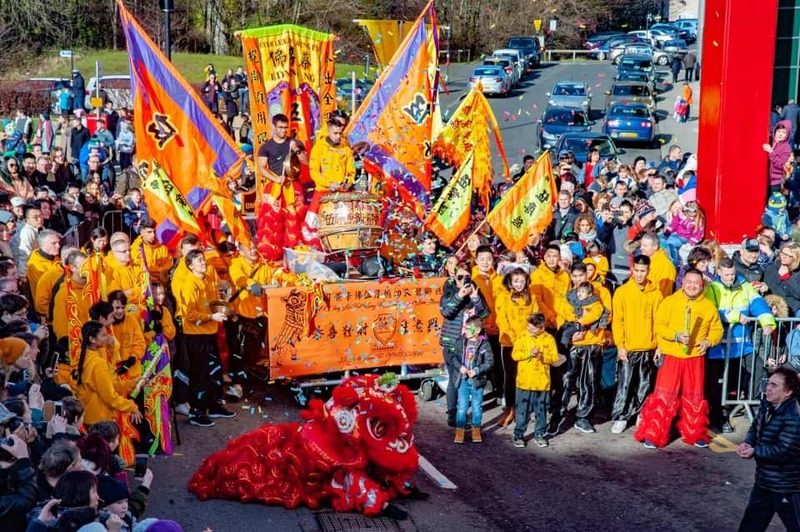 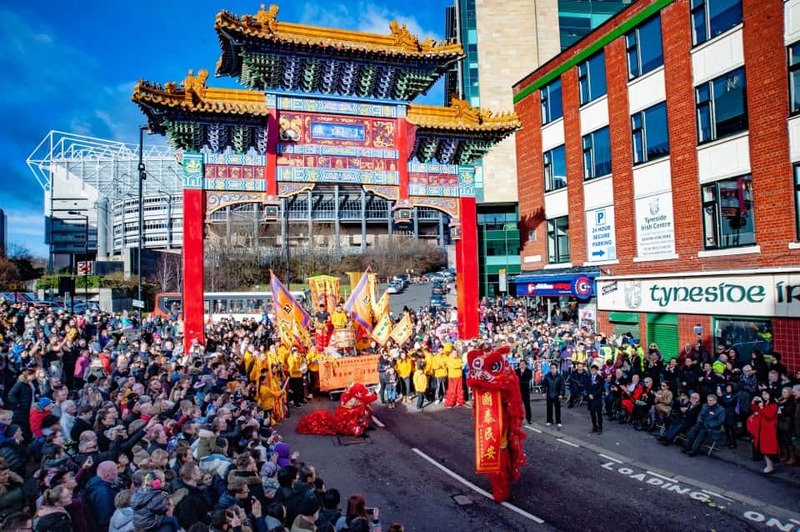 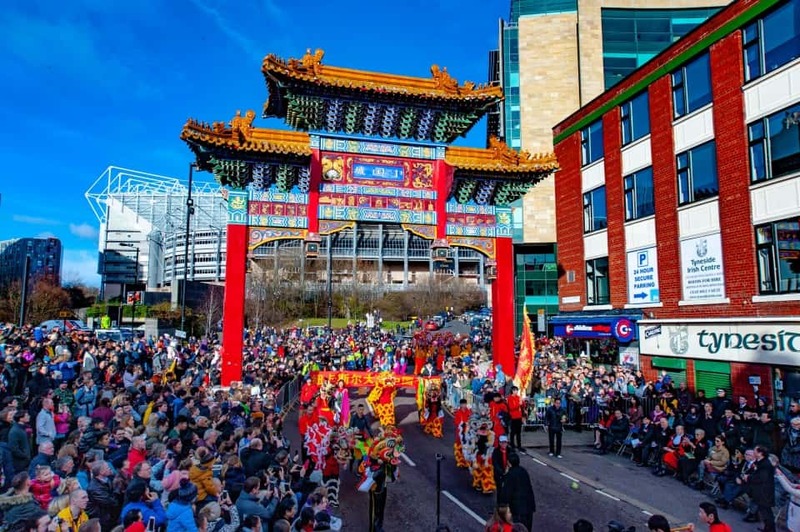 Although the official date of the Chinese New Year was Tuesday, Sunday’s parade was certainly the busiest Chinese event in Newcastle of the week. 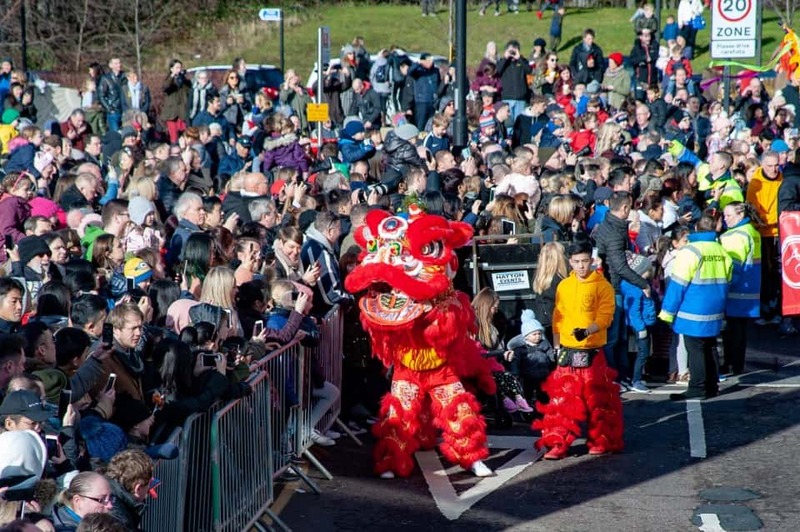 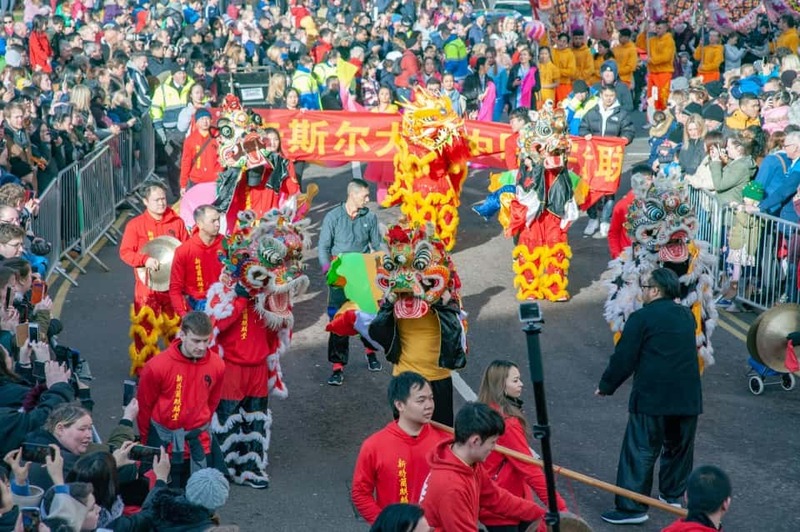 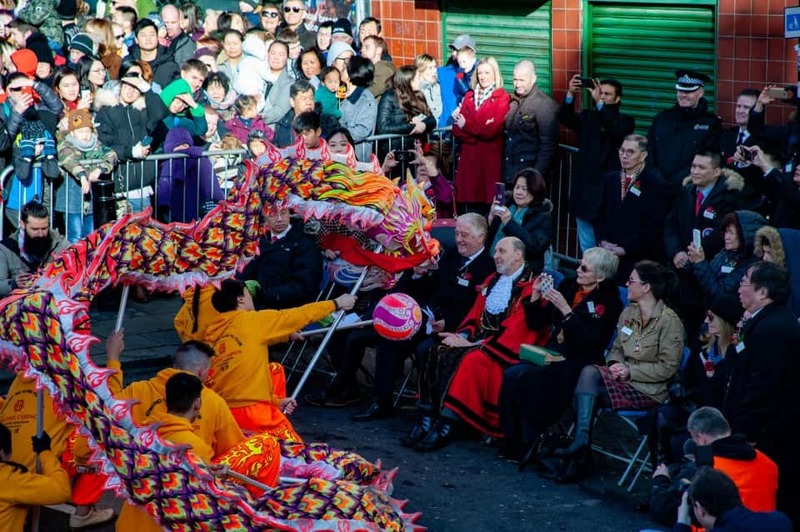 Many thanks to SRNEWS for a wonderful well written report together with great photos of the celebrations of our Chinese new year in Newcastle on Sunday. Thanks Fay! 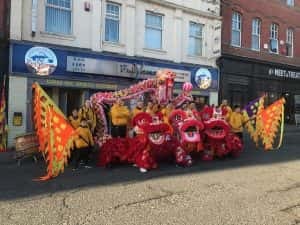 And well done Georgina and Ryan.